Buying gifts can sometimes feel like a daunting task. Especially when you’re shopping for people who are as picky as a porcupine or seem to have everything. With Father’s Day around the corner, you’re might be revving up for the big day if you haven’t already purchased anything. And though gifts aren’t needed to show appreciation, they’re certainly a great way to express gratitude. To this end, you want to be sure that the special man in your life receives a special gift, one that shows your thanks and appreciation! And most importantly, you want to be sure that your gift is something that he can truly appreciate, something different than the standard tie or pair of socks. The following list comprises a few travel-themed gifts that are a bit off-the-grid. They’re perfect for the thrill-seekers, go-getters and adventure-hounds in your life. They’re also great for fathers who are a bit pickier—or who seem to have it all already. And the best part is that they’re all wholly unique. Enjoy! 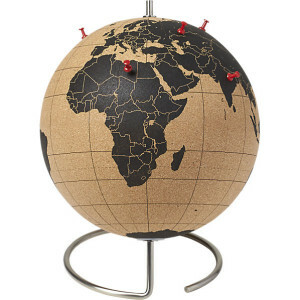 This globe will highlight his travels in style! That summer you both went wine tasting in Italy or Oregon? Pin it! That’s right—pushpins and earth tones allow for a three-dimensional memory of where he’s been and where he still wants to go. Not only does he look good going to the office, now he can turn heads while barbequing as well! 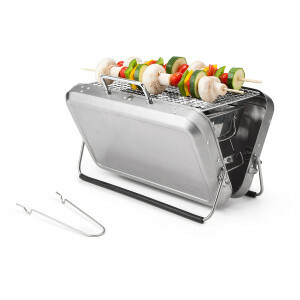 This grill shapes up to look like a stainless steel briefcase, making it the perfect gift for portable dining. Take it to the beach, lake or even in the backyard. Though cufflinks can rank right up there with ties as far as what fathers get all too often, these cufflinks are definitely cool! 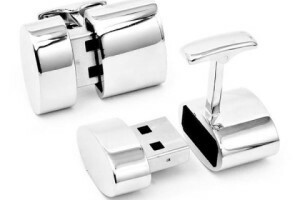 He can look good and listen to good sounds, or get a bit of work done all via a set of silver cufflinks. Be careful, though. These bad boys jut might have him thinking he’s the next James Bond! Collar stays are something that have withstood the test of time. With this titanium version, he’ll withstand the test of fashion and time! What’s more, these collar stays are multi-functional, meaning he can also crack open a bottle of beer with them, use them as a handy screwdriver or find other ways to use them and be his own MacGyver! Flasks might come a dime a dozen, but his doesn’t have to. 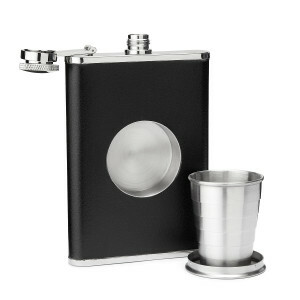 The ever-handy shot flask adds a shooter into the mix! Most appear as an embellishment in the center of the flask. When he’s ready, he can simply pop out the shot glass and pour a measured dose of the good stuff! Feel good, look good and look good doing it! 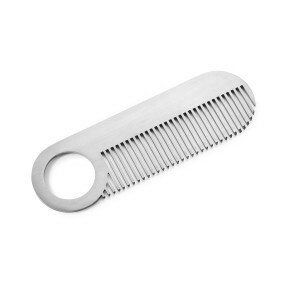 Now he can keep his facial hair groomed while on the go and all with a stylish, portable comb. These sleek and efficient power hubs have been all the rage for some time now. Maybe it’s time that the father in your life had one too. 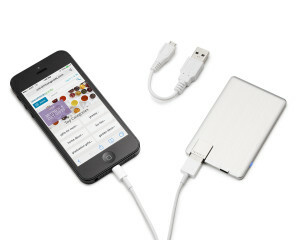 Power cards allow for recharging at the drop of a hat, and as such, are extremely versatile. Find a wallet-sized card with power and beauty and give a gift that’s both functional and fashionable. This isn’t your average guide—the Anywhere Travel Guide has guts! 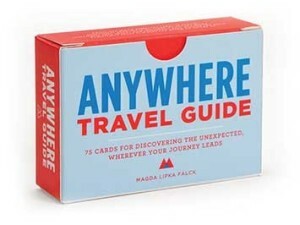 In reality, the guide is a pack of 75 cards that provide prompts for you to act on while traveling. Instead of lugging around a tome about the gardens of a city, why not dive into fun and whimsy by pulling out a random card and acting on the instructions? Fathers are sure to love the excitement of this guide. And the great thing is that it can be used anywhere and at all times!